Add grace and increase the life of your dining table with a new and stylish dining tablecloth. Explore high-quality tablecloths, dining table covers and party linens that are apt for kitchen and dining tables of any shape, small, medium and large sizes. We provide a range of colors and designs in bulk to match your existing decor. Here at BBCrafts, we offer a vast collection of table runners and custom tablecloths, from napkins to chair sashes at wholesale prices. Whether it’s a wedding or a small household event our range of premier table linen tablecloth is perfect to add glamour to any of these events. Tablecloth covers are usually considered an efficient way of crafting a gorgeous setting. With this in mind, we bring an assortment of wedding, banquet, easter, burgundy, gingham, ivory, rose, glitter, cream, oval, teal, rosette, fall, poly, sequin, outdoor tablecloths, and more, to instantly boost the tone of your decorating experience. Look through our tablecloth factory, party table covers range and discover the bold yet stylish pieces in an array of colors. With a variety of fitted tablecloths and table top covers in a crowd of fabrics, it is easy to pick a fascinating spring tablecloth or wedding table decoration to match the shape of your table and enhance the overall look and feel. Both embellished and idealistic, tablecloths and table covers for online sale are used to guard tabletops against stains and scratches. Simply spread across a dining table, these luxury and discount linens can be substituted with changing occasions and seasons. For added design and protection,the fine linens can also be used with table placements and runners. 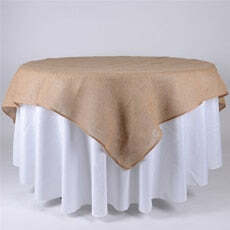 BBCrafts offers a wide assortment of cloth table covers to choose from. Browse our collection and enjoy the variety in an array of designs, patterns, shapes and sizes, and colors like white, yellow, royal blue, gray, green, rose gold, navy blue, pink, purple, red, silver, black linen lace tablecloths. You think of it, and we have it at the most affordable prices.